It's been a little (ok, a lot) quiet around here the past 4 months and for that, I am sorry. It wasn't because I needed a break, or because I lost the passion for my corner of the web that expresses itself in this blog, it was just other areas of my life called for a lot more of my attention - they still do - but to not write from my heart and share it in this space doesn't make me feel whole. So today, even though I have two A4 pages of 'to do' lists, meetings to book and calls to make, I sat to write my first piece back to you. And you know what? It feels good. No, it feels great. I don't come with any changes - I will still write exactly as I did before as I showed up authentically with any promises. I also don't come back with any rules, I'm still a risk taker, life enthusiast, heart on my sleeve kinda gal and my writing will always reflect that. Full disclosure; There may also very well be a week that passes by that it goes a little quiet again and that won't mean anything other than life will have just gotten a teeny busy again. Here is the thing for me though. I love to write. I love to sit and get emotion and feelings and words on to paper. It is part of who I am. So to not, just doesn't feel right. 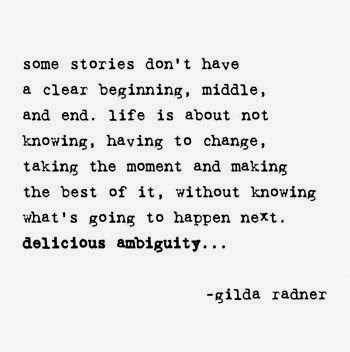 So, although life is crazier now than ever, ever before - I don't want to let go of writing and sharing the wild journey and lessons along the way. To me, this space has grown and evolved with me, in every which way. In fact, it was THIS space where it really all begun for me. It signifies the time I had just come through some major growth and had set out on a new journey of self love and discovery. I was the girl trying to figure it out and had no qualms sharing that in here as I went along. As I sit here and write this, March 2014 - a mere two days before my 26th birthday - I am still that same girl, I am just still doing more growing, and the last 6-12 months have been the craziest of my life. So to share that journey and continue to have this space grow as I grow is something I am committed to. So there it is. I'm back. To the beautiful readers who checked in regularly to see if another post had been put up - thank you from the bottom of my heart for sticking with it (I can see from the blog stats) .. I promise I will always honour the space I've created here with showing up, telling the truth, having fun and sharing from the heart and soul - my own words and words of others that inspire and uplift me.